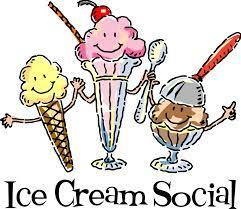 Salem United Methodist Church, 1640 Salem Road, will hold its annual ice cream social Wednesday, July 8. Serving will begin at 5 pm. The menu will include home made chicken and noodles, chicken sandwiches salads, pies, cakes and Riverside Ice Cream. Carry outs will also be available.